Step 1. 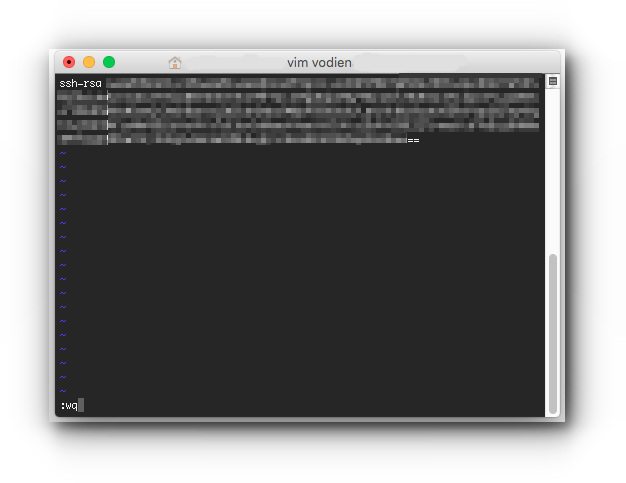 Find the “Terminal” application in launchpad and start it. Step 2. 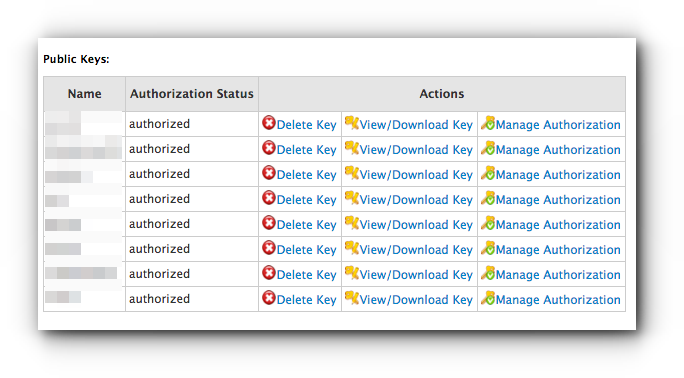 Go back to WHM and look for the newly created public key. Click on View/Download Key. This will check the present working directory. 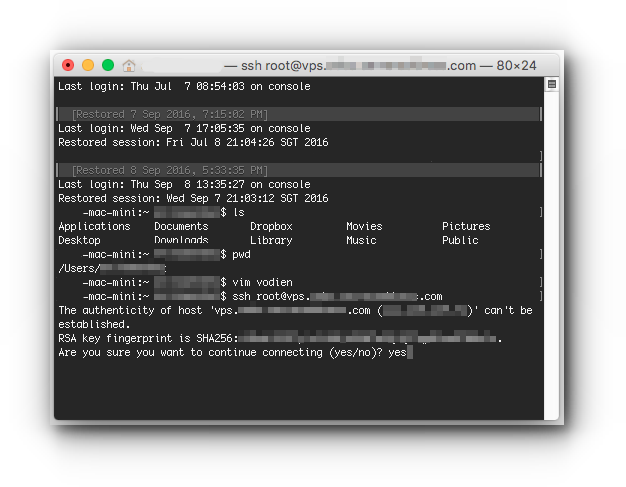 Make sure it shows /Users/username/ (username pertains to your local computer username). 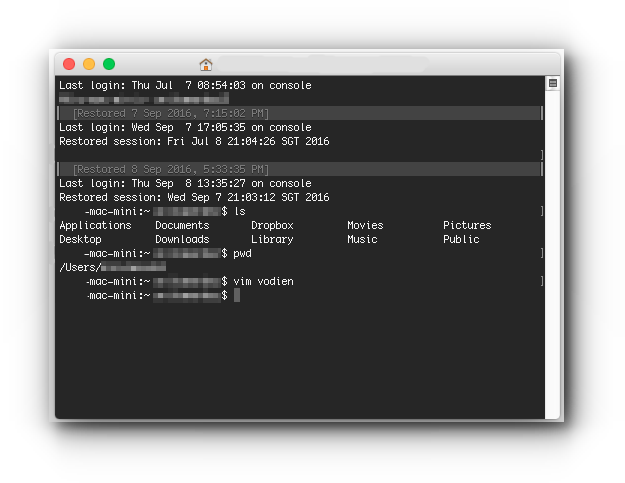 Create and edit a file by using the command below (replace “filename” with any file name you want). Step 4. 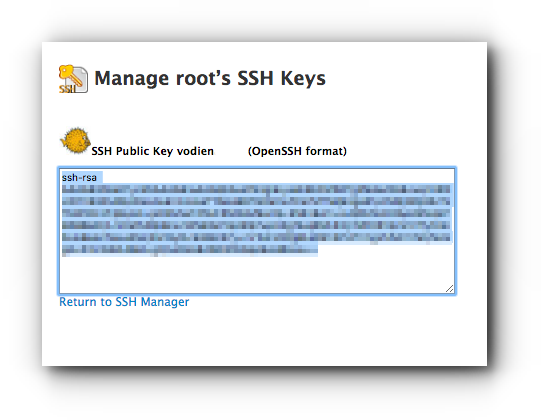 Paste the SSH Public Key. You may need to press i from your keyboard to insert the key. Step 5. Press “ESC” and type: wq and press enter. Step 7. You will be asked if you want to continue connecting. Type in yes and press Enter. Step 8. You will be asked for the password. 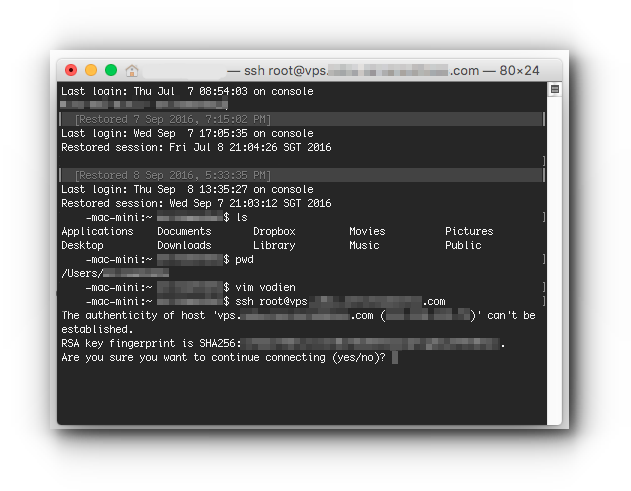 Enter your VPS password (same with your WHM login password). 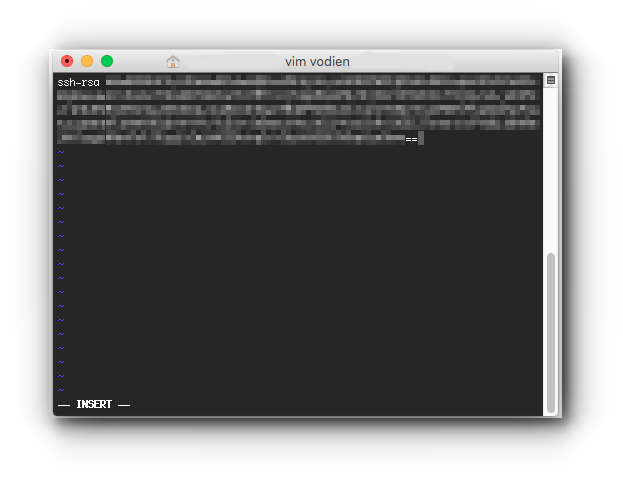 You are now connected to the command line with your Mac computer.